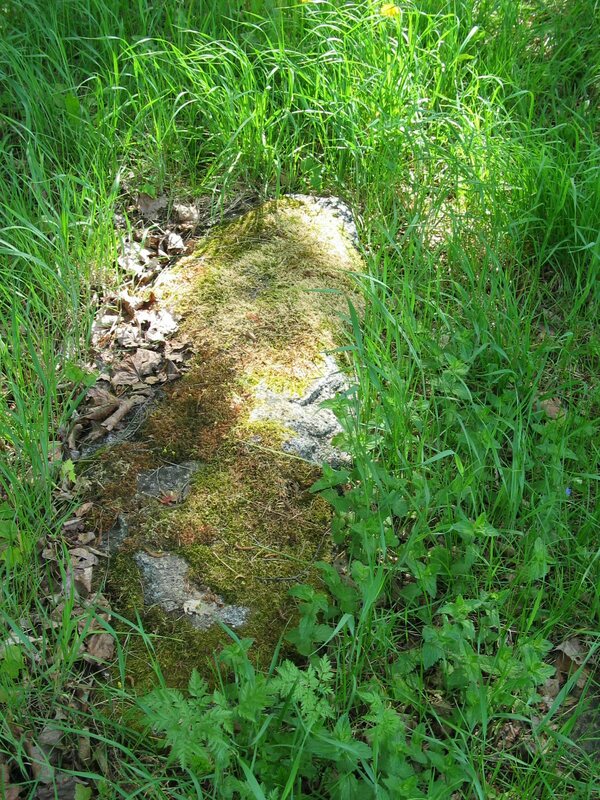 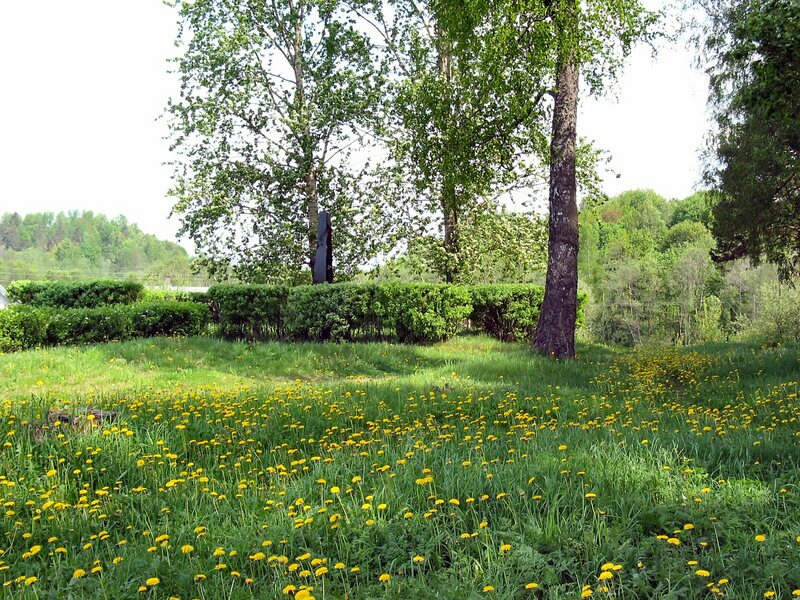 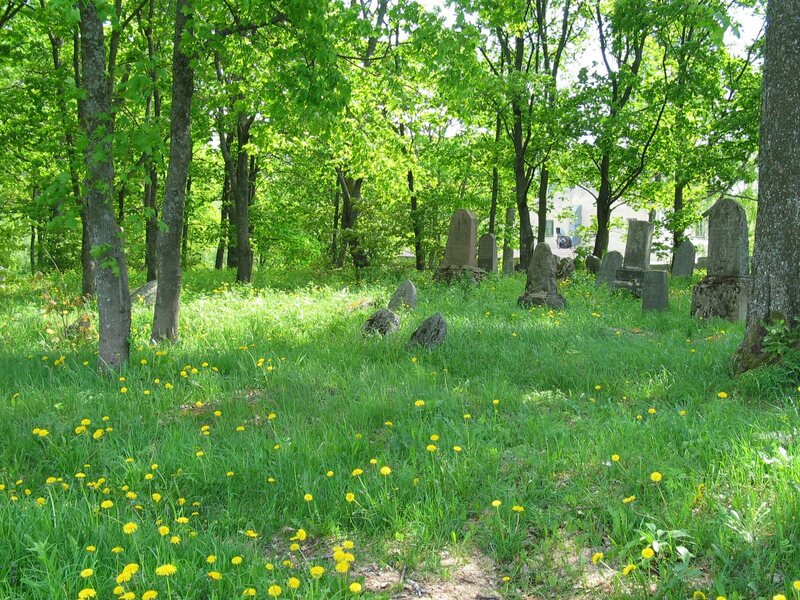 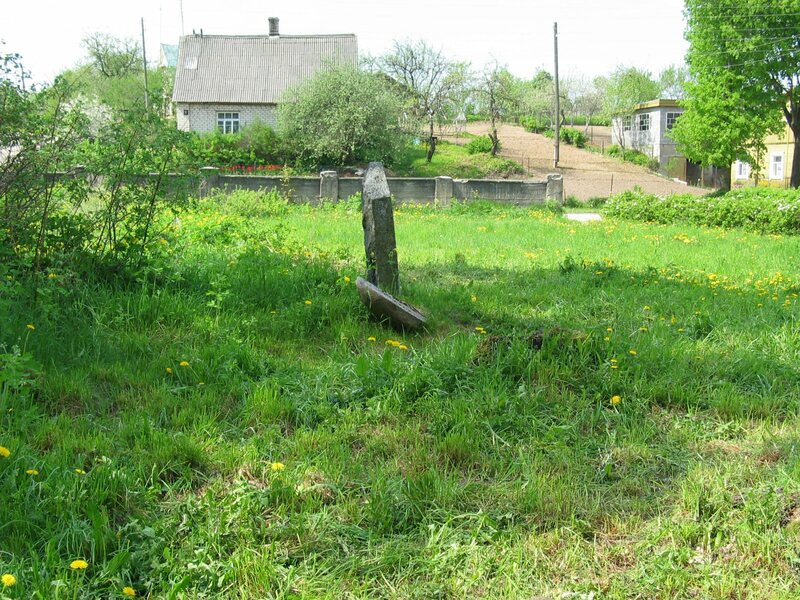 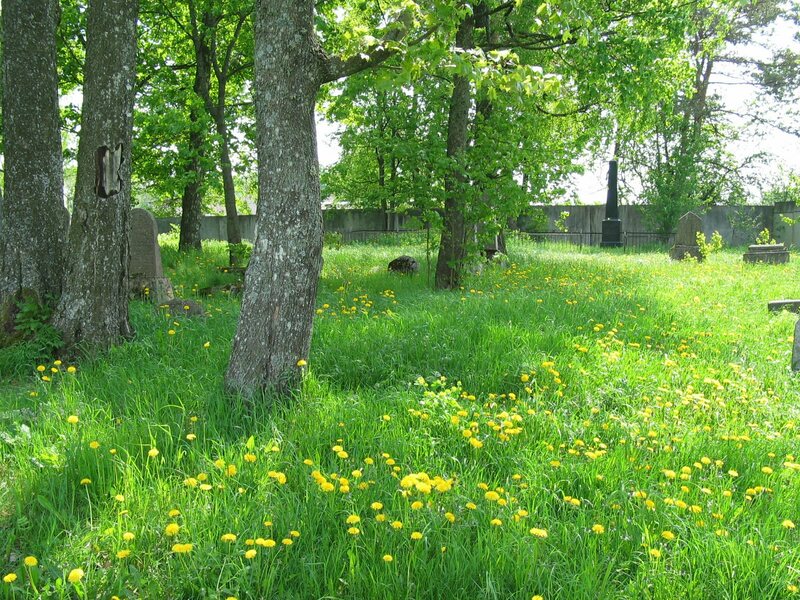 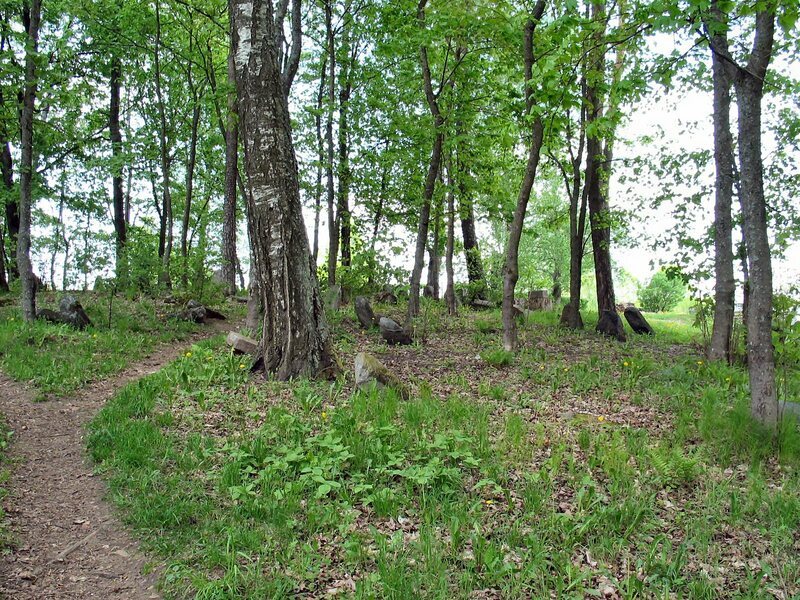 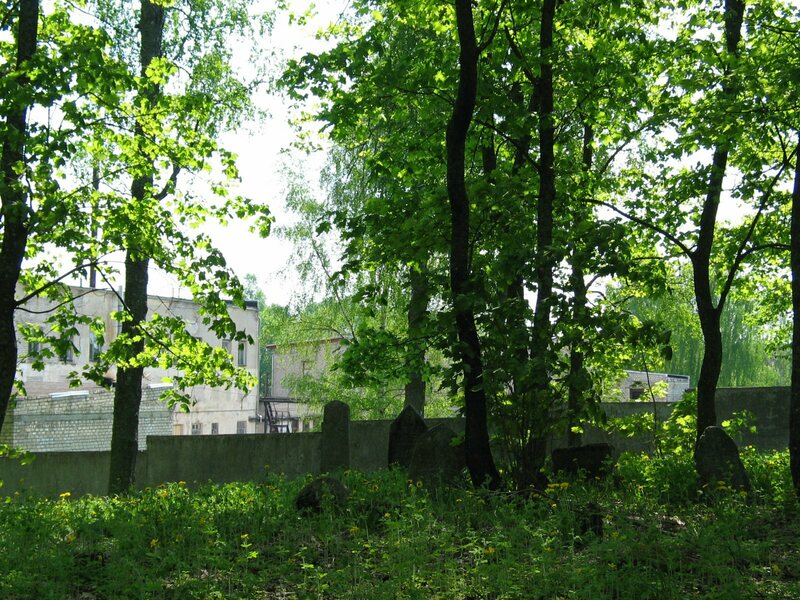 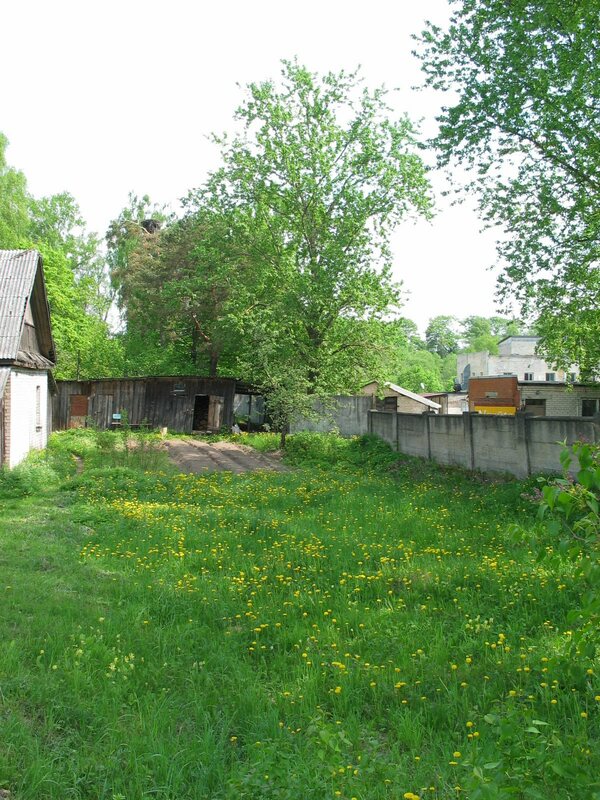 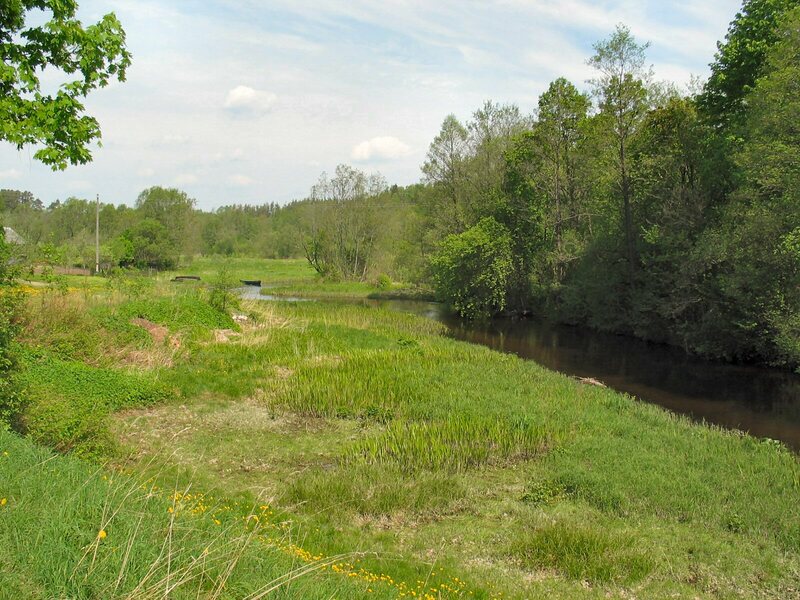 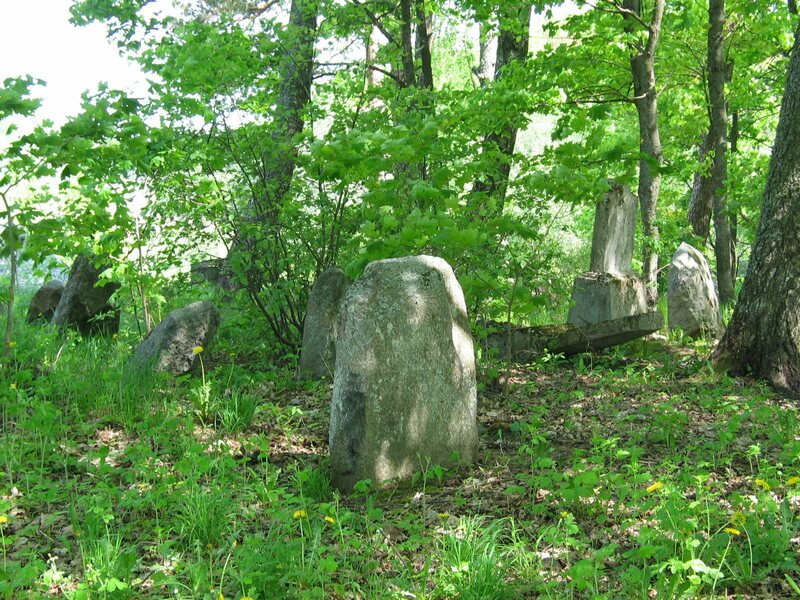 The above photos and the list of names from the cemetery in Dagda, is a report prepared for me in 1998 by the Latvian genealogist and historian Aleksandrs Feigmanis, who has given permission to publish it on this Dagda-ShtetLink site. 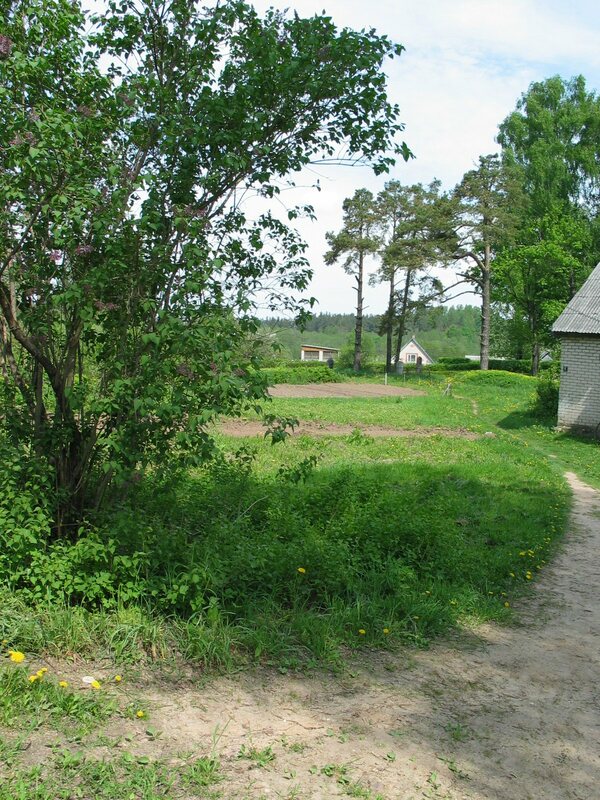 The translation/transliteration was done by Aleksandrs Feigmanis. 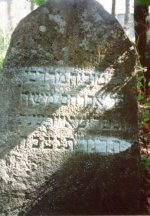 Question marks indicate that part of the inscription was illegible. 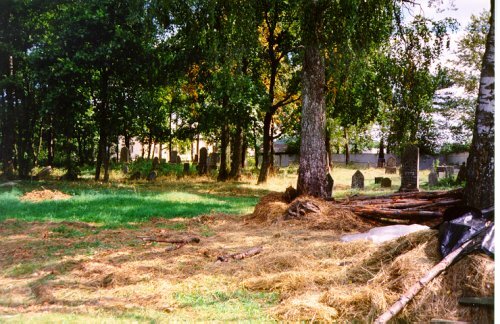 View of Dagda cemetery from the road. 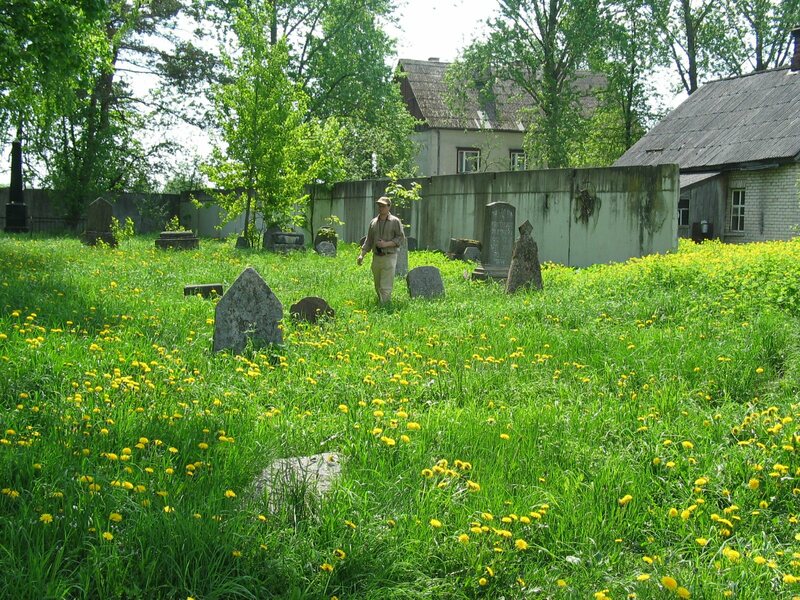 Our guide, Aleksandrs Feigmanis, entering the cemetery.